Provide inspirational fun for kids with this religious arts & crafts activity. 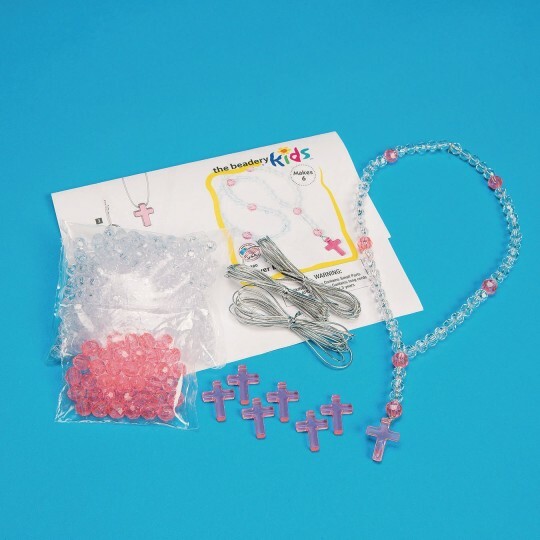 Kids will love creating a Rosary from scratch! Perfect for Sunday School, Bible School, camp and especially for those days where a good, inspirational activity is needed. 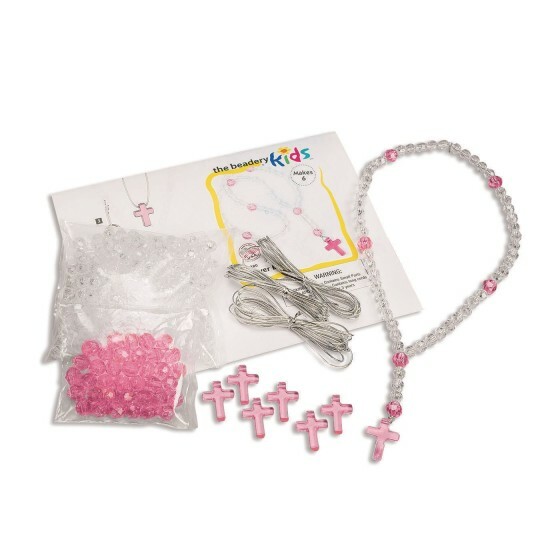 These beautiful pink and crystal Rosaries will be able to be used for years to come. Kit contains everything needed for assembling six Rosaries. Detailed illustrations included in packet to guide activity. Proudly made in the USA.